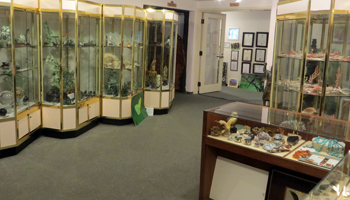 Lucoral Museum Showcases a Unique Collection of Gemstones, Corals, and More. Lucoral Museum: A Free & Interesting Hawaii Attraction! I'm almost at a loss for words how to best describe the Lucoral Museum. It’s something like the rocks-and-minerals-wing of the Smithsonian Museum of Natural History… crossed with an episode of Hoarders (or vice-versa). I’m tempted to call it odd or even bizarre. I could throw in a pun and call it a hidden “gem”. But I think the best description would be: unexpected and eclectic. 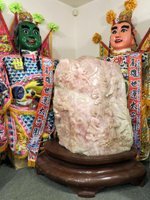 First of all, Lucoral Museum is privately-owned and dedicated to the memory of Mrs. Lu Hong Kui-Su, a Taiwanese immigrant and matriarch of the Lu family in Hawaii. As such, it’s housed inside a converted apartment building, which can make the layout and displays seem somewhat haphazard and even cluttered. But that doesn’t make it bad. It just makes it different than I might have expected. Hawaii is world famous for its ideal location in the Pacific Ocean. 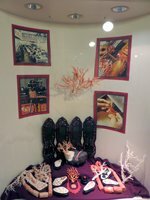 So visitors are bound to be impressed with the beautiful collection of pink and other corals, pearls, and shells – plus all the jewelry and other items made from these Hawaiian treasures. On the other hand, Hawaii is almost completely devoid of other minerals. Yet Lucoral Museum has an unexpectedly impressive collection of (non-lava) rocks, minerals, and more. 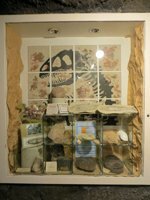 Displays include jade sculptures, fossils, a dinosaur egg, geodes and more. Honestly, the pictures on this page give a better idea of what you’ll discover than I could ever do with words. The only area I didn’t snap any photos was in the gift shop, where you’ll find the museum's exclusive jewelry collection designed and created by Flora Lu. I’m not into jewelry, but a lot of it looked nice to me. You can decide for yourself. Self-guided tours are free, and visitors are encouraged to get hands-on with various exhibits. I couldn’t tell for certain (because it wasn’t clearly marked one way or the other) but it looked like there was plenty of parking underneath and at the side of the building. I walked there, so I didn’t give it much thought at the time. 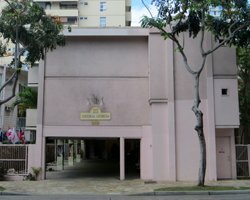 If you’re really into Hawaii cultures and Hawaii history – or you just like free museums – Lucoral Museum is located approximately one block from the King's Guard Museum, which is only about a block from the Hawaii memorabilia collection at the Moana Surf Rider Hotel, which is approximately one block from the Damien and Marianne of Molokai Heritage Center. You could see all these historic Hawaii attractions in a couple hours. Honestly, I probably wouldn’t choose any of these museums over a beautifully sunny day at the beach. But as a quick stop between the beach and my next meal, any of them make a nice diversion. And if the weather turned rainy such that I needed a dry Hawaii activity to pass some time – these kinds of free Hawaii fun activities could very well save the day!